1. Always aim high. He did not always meet his elevated targets, but by aiming high he always achieved something worthwhile. 2. There is no substitute for hard work. He worked hard at everything to the best of his ability. 3. Churchill never allowed mistakes, disasters – personal or national – accidents, illnesses, unpopularity, and criticism to get him down. 4. 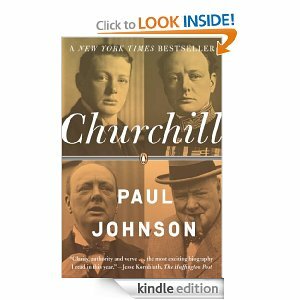 Churchill wasted an extraordinarily small amount of his time and emotional energy on the meannesses of life. 5. The absence of hatred left plenty of room for joy in Churchill’s life. You can get the Kindle edition here.